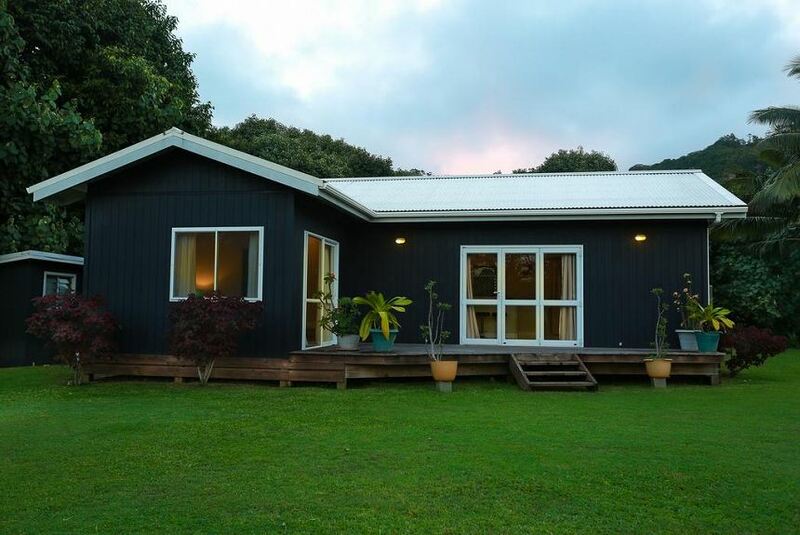 We offer a luxury two-bedroom villa and seperate one-bedroom studio on the island of Rarotonga, in the Cook Islands. Both our two-bedrom villa (Maine Villa) and one-bedroom studio (Tamaine studio) are self-contained, and located a short 3 minute walk from beautiful Muri beach, which is a popular vacation spot and has some of Rarotonga's best restaurants, activities and attractions. On arrival to Maine Villa, guests are provided a complimentary fruit basket, milk and bottled water. Both Maine villa and Tamaine studio have a separate bathroom, toilet, shower, fully self-contained kitchen, open plan lounge and dining area. Maine villa also has two separate bedrooms, one with a comfortable queen size bed and the other with a super king size bed which can be split into two single beds. Tamaine studio also has a comfortable queen size bed. Each have their own balconies with outdoor furniture for relaxing and dining.